Breakouts, acne and a host of other skin problems can often lead to dark spots. After dealing with this original problem, it’s just too much to bear when you end up with dark spots or black spots dotting your face. This eventually leads to Round #2: You vs. Unsightly Dark Spots. 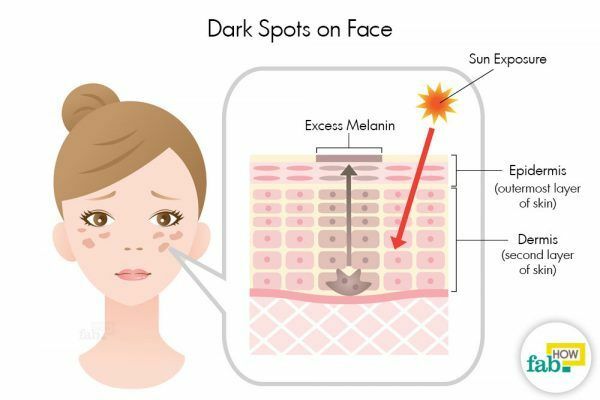 While dark spots or face spots are more common in dark-skinned people who naturally have a lot of melanin, anyone can develop it. When there is too much of melanin production, dark spots, patches, marks or blemishes may appear in different areas of your body like face, neck and arms. Sun damage often manifests in the form of hyper pigmentation due to excess melanin production in dark-skinned people. Dark spots, liver spots or blemishes can occur on skin areas that usually face sun exposure. 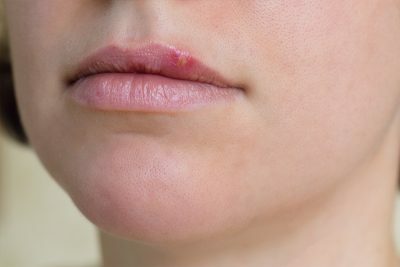 Many dark spots or brown spots also occur as an aftermath of breakouts. These spots appear on skin following acne that has healed. Traffic related pollution, along with ultraviolet radiation, can also give rise to formation of dark spots or brown spots on the face according to one study. Nitrogen oxide (NO2) a major pollutant in the traffic related pollution has been found responsible for the formation of such dark spots, especially on the cheeks as the skin over there is delicate. Studies suggest that light rays emitted by computer screens, TV screens, and uncovered fluorescent lights over a period of time can cause dark spots. The hormones in birth control can also cause dark spots as your natural estrogen and progesterone levels are altered to prevent pregnancy. Changes in hormones can cause hyperpigmentation. Avoiding excess sun exposure is one of the best ways to prevent dark spots from forming on your skin. Invest in a good sunblock that has UVA or Broad Spectrum protection. Buy a daily moisturizer that contains an SPF of at least 15. Limit your sun exposure during 10 a.m. to 3 p.m. when the sun's rays are strongest. Give your skin extra protection by wearing a wide brim hat, scarves, umbrella and sunglasses. Avoid tanning beds and spray-on tans if your skin is susceptible to dark spots. Take measures to let breakout and acne heal completely and naturally and avoid picking at them at all costs in order to prevent scarring and dark spots. In order to prevent dark spots from ever forming on your face, you’ll need to protect your skin from exposure to pollutants. Wash your face at least twice daily and exfoliate twice a week. Cover up your face when out in pollution. Avoid smoking at all costs as it’s a personal source of pollution. Avoiding chlorinated water to wash the skin can also help. Keep your body hydrated and well supplied with vitamins E and C as they’re a good source of antioxidants required to protect the skin from pollution. Some data suggest that topical application of Vitamin C as serums or creams can also brighten the skin. If your job requires you to be in front of the computer screen whole day, make sure to take frequent breaks as even small amounts of daily radiation for longer periods of time can cause dark spots. Hormonal imbalance can cause dark spots. Control hormonal fluctuations by reducing stress and avoiding highly acidic foods such as processed foods and red meat. Consult your doctor and switch to contraceptives with lower dose of hormones as higher levels of hormones can spur an overproduction of melanin that cause dark spots. When a lot of spots dot your face, it can lead to many uncomfortable situations. Often you end up hiding them under makeup, but that may not always be an option. Fortunately, there are a lot of natural remedies that can help you. The best thing about these natural remedies is that you need not go further than your kitchen and fridge. While many over-the-counter drugs and creams are also available, these natural remedies might be more in tune with the health of your skin. Natural ingredients, when paired correctly, work on the dark spots to fade or erase dark spots naturally. In fact, many commercial drugs and creams contain elements that are naturally present in these ingredients. As long as you keep the requirements of your skin in mind, you should be able to enjoy good results without any side effects. 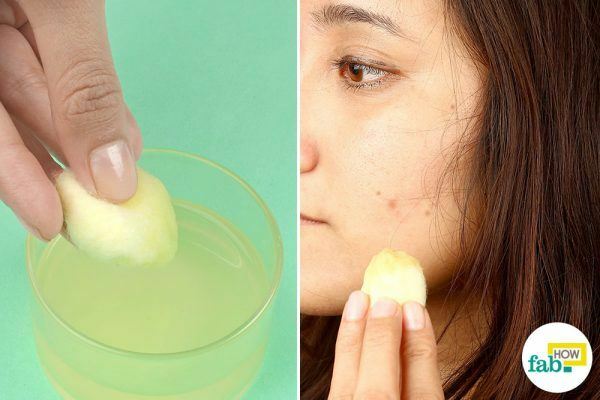 Here are six easy home remedies which you can choose from depending upon your skin type and skin sensitivity, to remove dark spots from your face quickly. The citric acid present in lemon juice makes it very efficient natural bleach for the skin. Lemon juice has been one of the most common skin lightening agents in many cultures. While it has a general lightening effect on the skin, it can be used to tremendously lighten the dark spots or hyperpigmentation. Dip a cotton ball in freshly squeezed lemon juice. 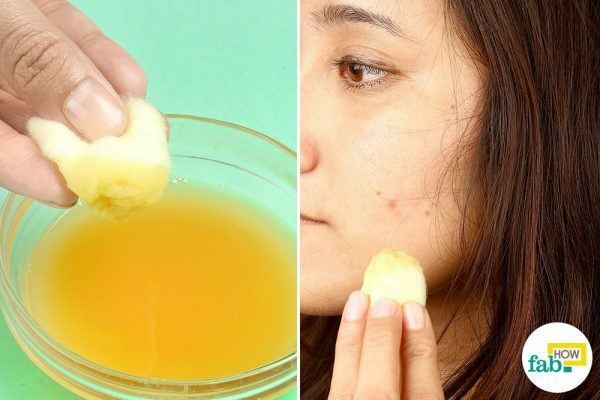 Apply the lemon juice on the area with dark spots. 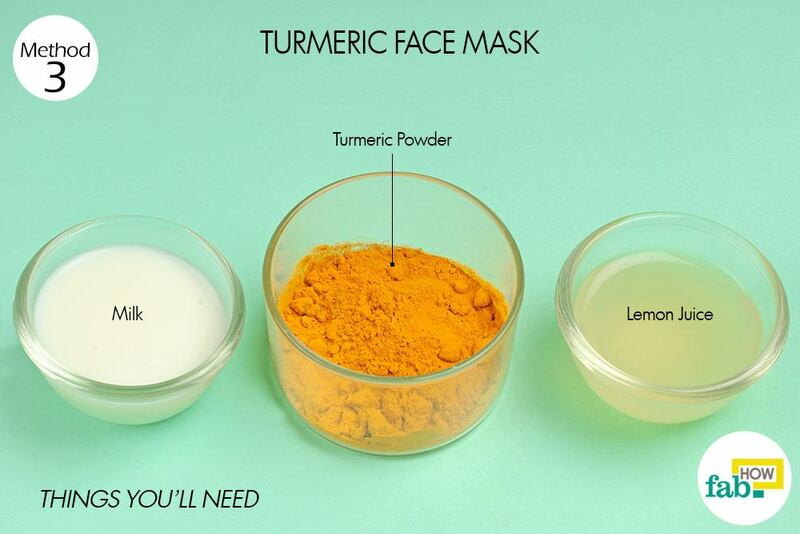 You can also apply the lemon juice over your entire face. Let the lemon juice stay on your face for 10 to 15 minutes, then wash it off with plain water. Don’t keep it on for more than 15 minutes, as lemon juice may irritate your skin if left for a long time. Repeat this procedure weekly for good results. If you have sensitive skin, it is important to dilute lemon juice before applying as it may irritate the skin and cause dryness. 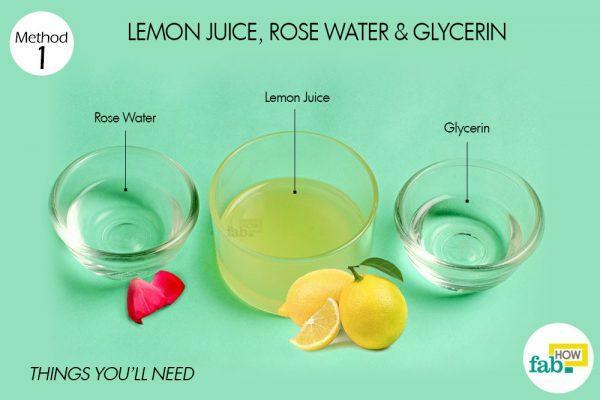 Rose water not only dilutes the lemon juice, but also helps to clear up dark spots. Glycerin is added to the mix to counter the drying effect of lemon juice on the skin and keep it well-hydrated. Take 1 teaspoon of freshly squeezed lemon juice. 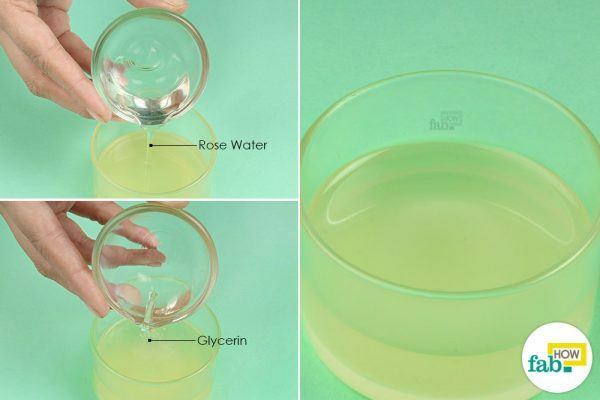 Add 1 teaspoon each of rose water and glycerin. You can use plain water instead of rose water, if you don’t have the latter. Although, you can easily make rose water at home. 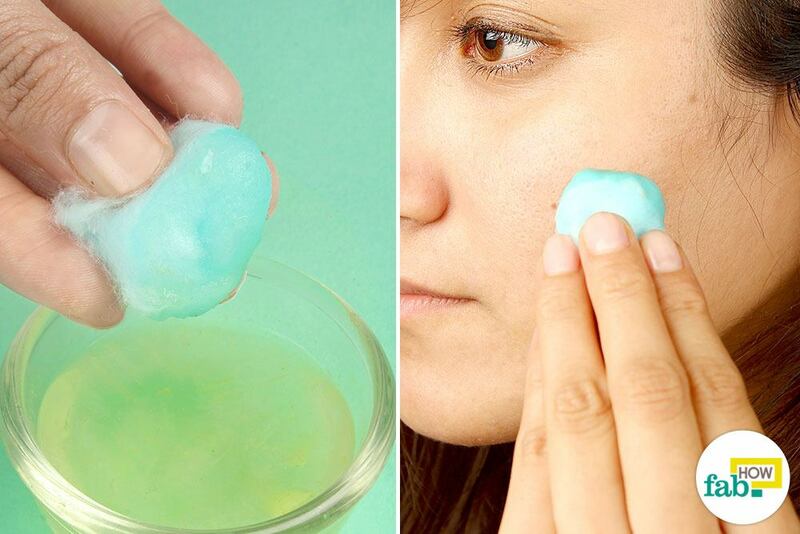 Dip a cotton ball into the liquid mix and apply it to your face. Leave it on your face for 10 to 15 minutes, then wash it off with plain water. Follow this with a good moisturizer. A little patience needs to be exercised when using this method, as it can take some time to deliver the desired results. But, it’s also one of the gentler remedies for those with sensitive skin. Repeat once a week regularly until you achieve the desired results. Potato contains natural enzymes and starch as well as vitamin C. Potato juice acts as a more natural and gentler version of homemade sugar scrubs. It exfoliates your skin and removes the dead cells, eventually diminishing your dark spots. Peel 2 medium-sized potatoes. If you have large potatoes like a Russet, one should do the trick. Grate the potatoes over a grater, collecting the shavings in a bowl. Put the grated potatoes over a cheesecloth and make a bundle. 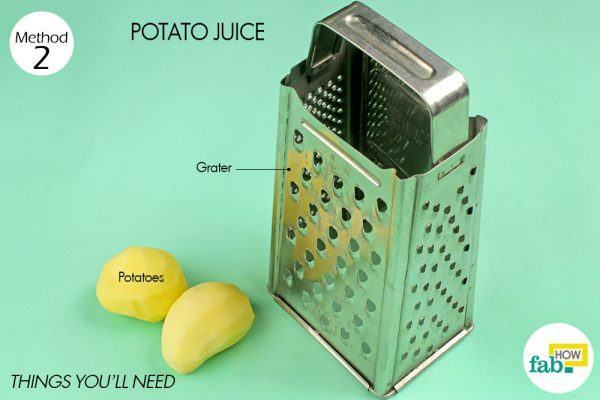 Squeeze out all the juice from the grated potatoes and collect it in a bowl. Apply this on your dark spots. If you want to take things up a notch, add additional ingredients like lemon juice and honey to the mix. Lemon juice is a natural skin lightening agent and honey is a rich moisturizer. Add 1 teaspoon of lemon juice to the bowl. 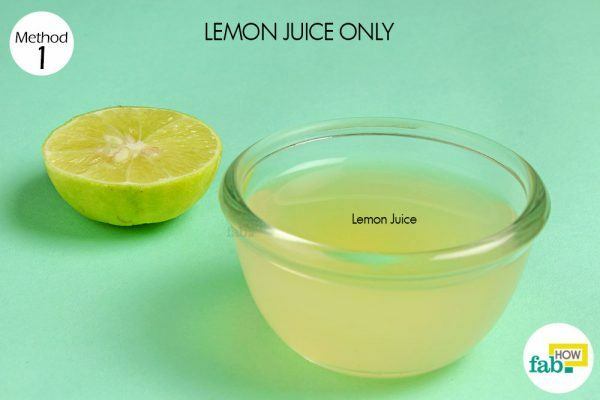 Lemon juice gives skin lightening properties to the mix. Add 1 teaspoon of honey and mix well. Honey counters the drying effects of lemon juice. It keeps the skin hydrated and healthy, speeding up the healing process. 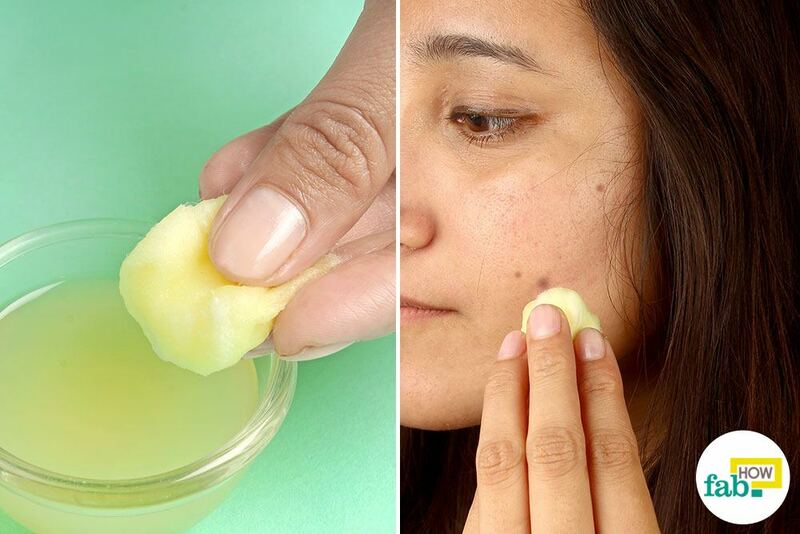 Dip a cotton ball into the juice blend and apply it on your face, paying special attention to the dark spots. Leave it on your face for about 20 minutes. Do this regularly once a week until you see results. Turmeric has long been lauded in the Indian subcontinent for its beauty applications. Turmeric contains curcumin, which inhibits pigmentation in skin. This leads to diminishing of dark spots and lightening of skin over time. Turmeric paste made from lemon juice and milk is a great remedy for dark spots. Lemon juice is a natural bleaching agent which helps to lighten the skin. Milk itself acts as a toner. But when you add lemon juice to the milk, lactic acid is produced in the soured milk which is also a skin lightening agent. If turmeric causes yellow staining of the skin, it should be mild and temporary. However, do ensure that you don’t have to be somewhere immediately after applying turmeric on your face. You can do it before going to bed at night. 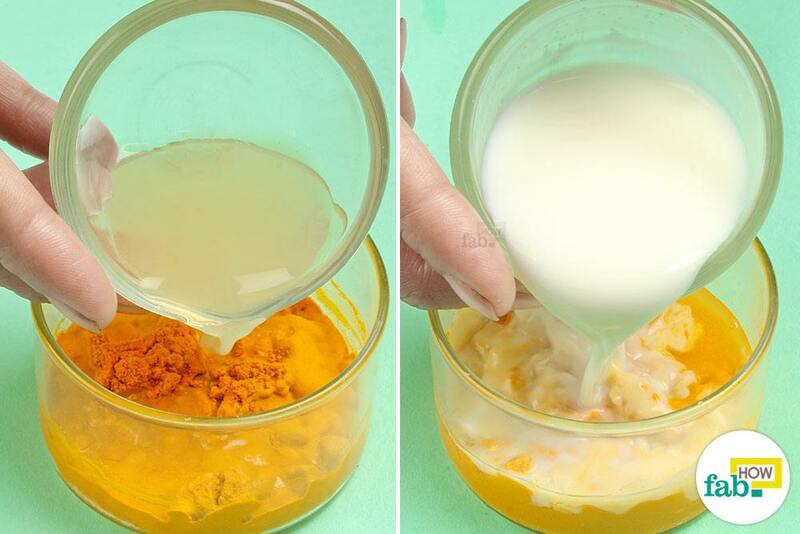 Put 1 teaspoon of turmeric powder in a small bowl. Pour 1 tablespoon of milk into the bowl and add ½ teaspoon of freshly squeezed lemon juice. 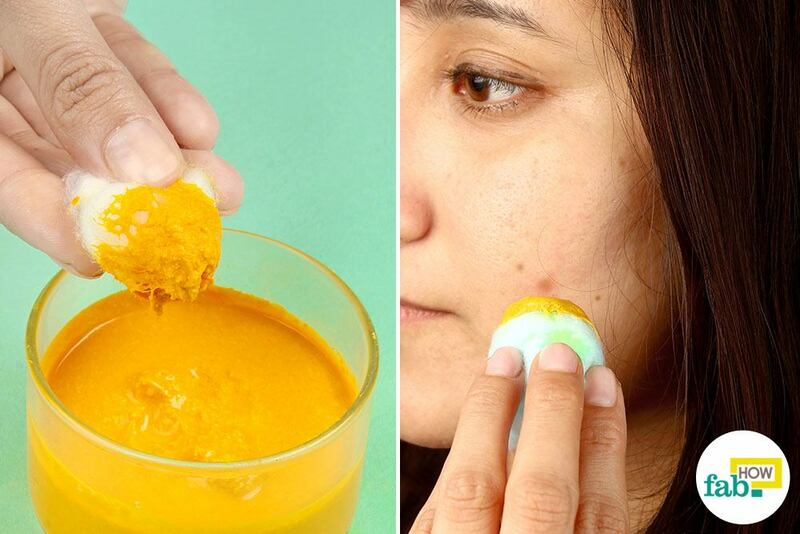 Dip a cotton ball in the turmeric paste and apply it on your face. Let it stay on your face for 10 to 15 minutes before rinsing it off with plain water. If you’re worried about staining your skin, you may use a gentle soap. Apply this pack once a week. 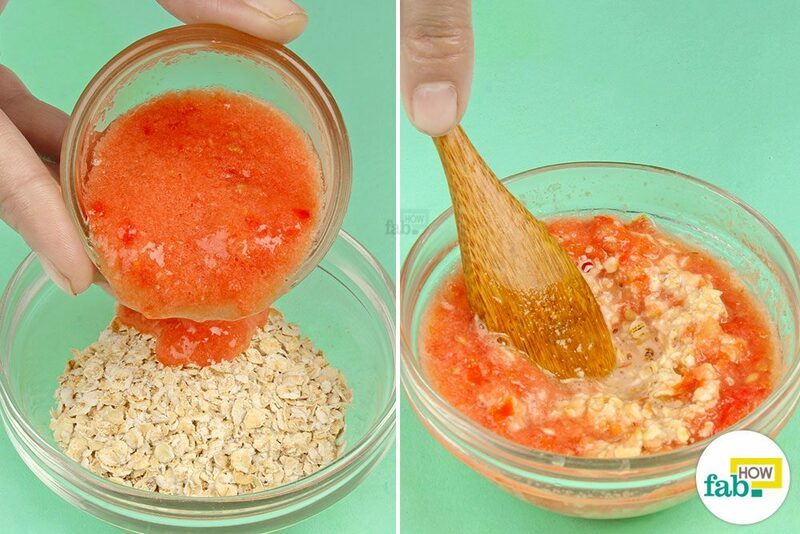 Oatmeal acts as a great exfoliating agent. Both the tomato pulp and lemon juice contain vitamin C, and tomato pulp also has a cooling effect on the skin. 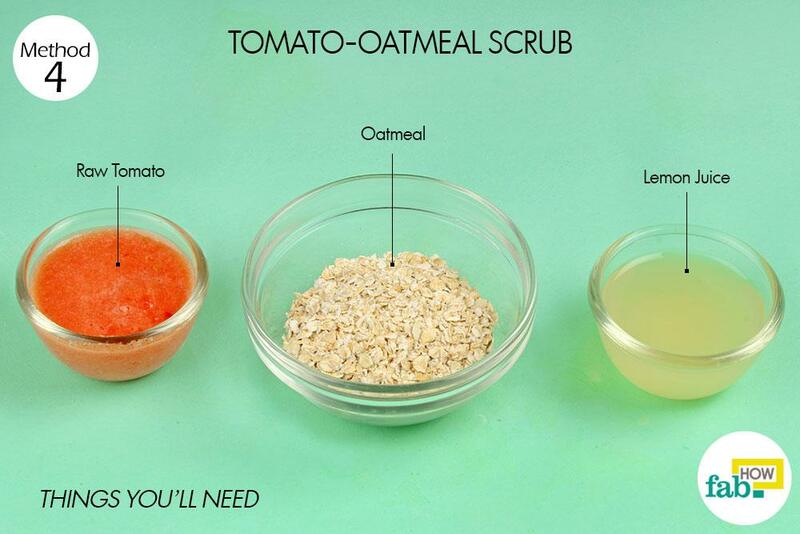 Combined with these ingredients, oatmeal effectively clears up severe pigmentation in the skin. Put 1 tablespoon of instant oatmeal in a bowl. Add 2 teaspoons of fresh tomato pulp made from raw tomatoes. 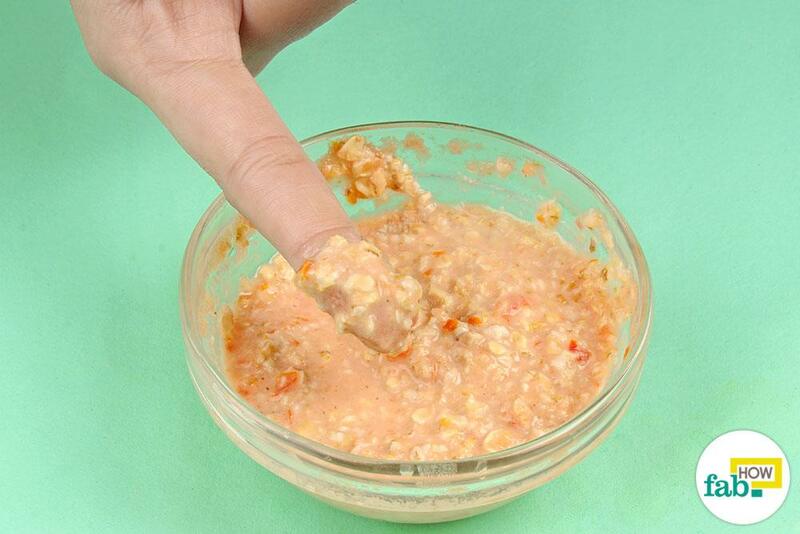 Blend the pulp into a paste before using. 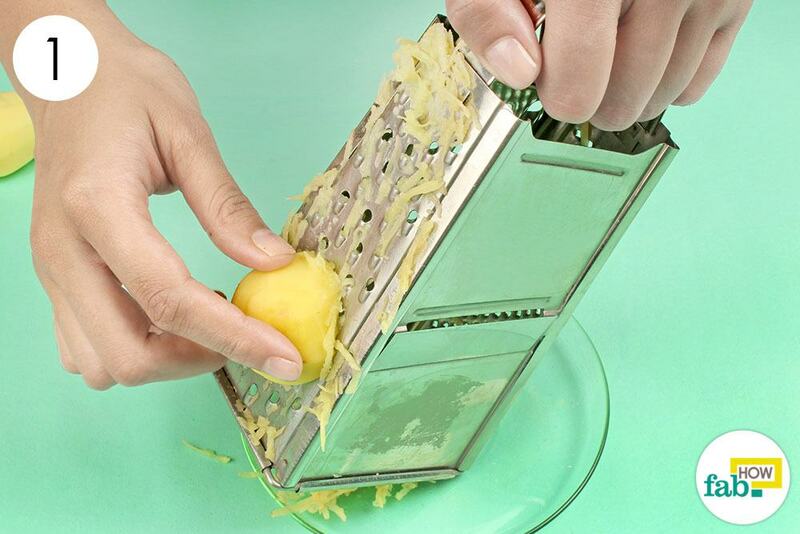 Add in ½ teaspoon of fresh lemon juice as well. Mix well to form a gritty paste. Apply this scrub over your face and neck with your fingers. Let it stay on for about 30 minutes, then wash it off with lukewarm water. You can easily repeat this remedy twice a week for good results. The lactic acid present in buttermilk is great for your skin. It lightens your skin and evens up your skin tone, resulting in diminished dark spots. 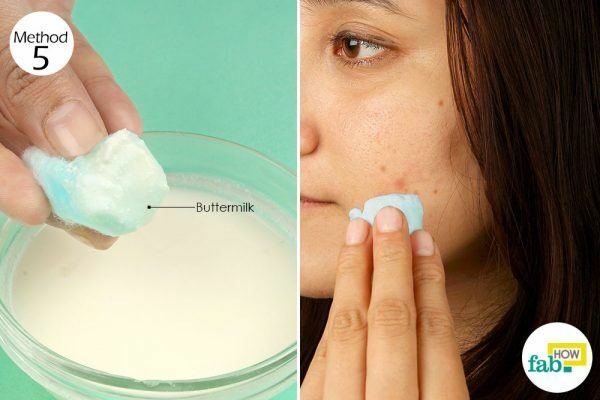 Dip a cotton ball in fresh buttermilk and apply it on your face, especially over the dark spots. Let it stay on your face for 10 to 15 minutes, then rinse it off with either plain or lukewarm water. Buttermilk can be easily applied once or twice a week, depending on your skin sensitivity. 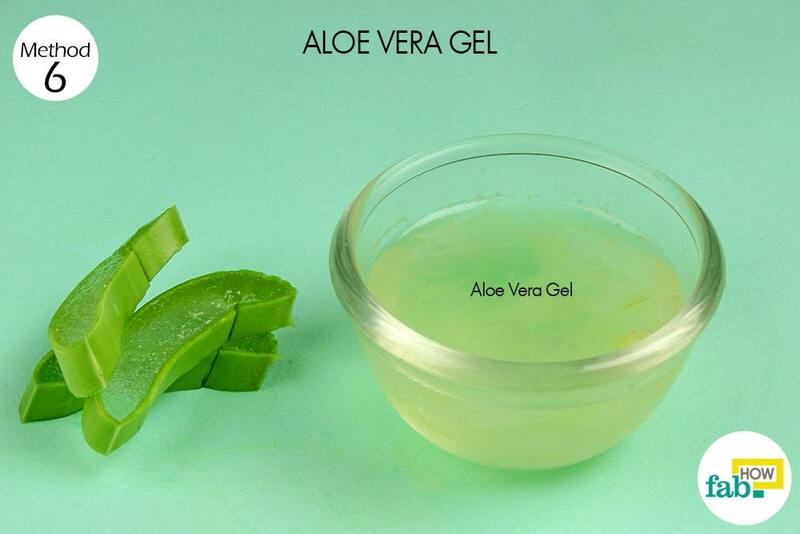 Aloe vera is a treasure trove when it comes to skin, health or beauty. Its healing properties diminish dark spots over time by rejuvenating the skin cells. Regular use of aloe vera juice keeps the skin blemish-free as well as healthy and hydrated. Dip a cotton ball in some aloe vera gel and apply it on your face. Let it remain on your face for at least 15 minutes before rinsing it off. This method can be safely used 2 or 3 times a week, until desired results are achieved. Avoid sun exposure after using lemon juice on your face. Lemon juice makes your skin sensitive and more susceptible to sun damage. Use a good quality sunscreen whenever stepping out. 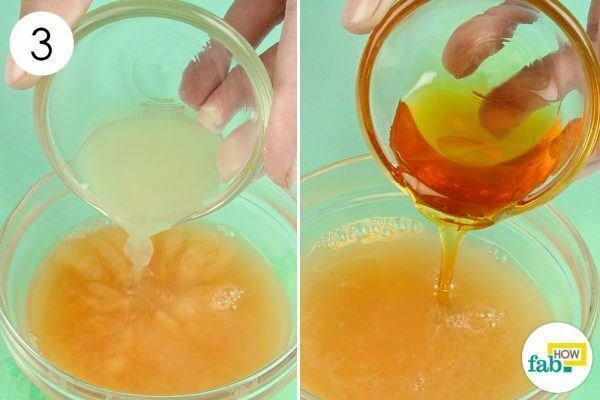 You can also use honey and lemon juice on your face to reduce dark spots or brown spots. Simply combine them in equal quantities and apply. Check your skin sensitivity toward any remedy before using it. Always try to use the freshest ingredients possible. The fresher the ingredients, the better results you’ll get. Hi Jenny, I have used lemon with rose water for my dark spots, and believe me, it has helped alot. Do give it a try!! how to clean my face black dark spot…i’m boy…. I have an inborn dark patches on two sidesvof my face. It makes my complexion to be like two different colors. Im worried. Can it be cleared since is natural? We would suggest you use the tomato-oatmeal scrub, as oatmeal in it exfoliates your skin, and tomato-lemon both are natural lightening agent. You can also use the lemon remedies i.e. method 1, but only after doing a patch test and checking if lemon suits you. Since its a natural dark patch, we are not sure how much time will it take to clear it off. Hi!… I have Melisma on both sides of face and have been trying everything to get rid of them… I just want my face to look normal for once… can you recommend something for me?… anyone? Hi….i have dark spots due to pimples on both sides of my cheek and i am currently using the lemon juice method… would it be possible for you to tell me how many days it will take to fade away? Natural remedies usually take time to show results, but we hope you start seeing positive results within 1 months time. 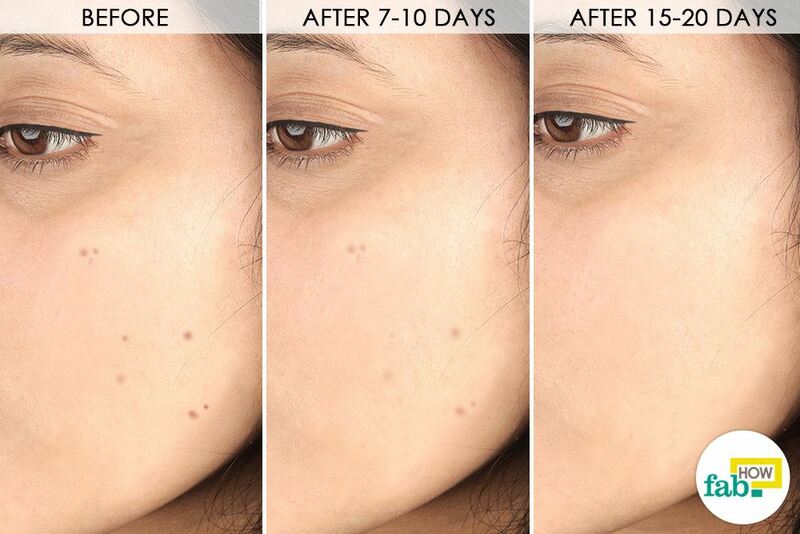 You should see some results within 6-8 weeks (2 full months) but you should notice them fading. Take before, during, and after pictures to compare if you can’t see a difference in the mirror as I guarantee you’ll see it in pictures.